Maureen Corrigan Book critic for NPR's Fresh Air. Her latest book is titled, "So We Read On: How The Great Gatsby Came to Be and Why It Endures." Leslie Maitland Former reporter for The New York Times; author of "Crossing the Borders of Time." Boris Fishman Novelist, author of "A Replacement Life." His journalism, essays, and criticism have appeared in The New Yorker, The New York Times Magazine and Book Review, The New Republic, The Wall Street Journal and more. Excerpted from ALL THE LIGHT WE CANNOT SEE by Anthony Doerr. Copyright © 2014 by Anthony Doerr. Excerpted with permission by Scribner, a Division of Simon & Schuster, Inc.
MS. DIANE REHMThanks for joining us. I'm Diane Rehm. Weighing in at more than 500 pages and featuring intricate plot details, mathematical equations and a sympathetic young Nazi, Anthony Doerr's "All The Light We Cannot See" is, in many ways, an unlikely literary hit, but it's been a New York Times bestseller for 45 weeks and counting. At the heart of its appeal, say many critics, is Doerr's evocative prose. MS. DIANE REHMJoining me for our Readers Review of "All The Light We Cannot See," book critic and author Maureen Corrigan, novelist Boris Fishman and author and former New York Times reporter Leslie Maitland. Throughout the hour, we'll welcome your contributions to this fascinating novel. Give us a call at 800-433-8850. Send an email to drshow@wamu.org. Follow us on Facebook or Twitter. And welcome to all of you. MS. LESLIE MAITLANDHi, Diane. Great to be here. MR. BORIS FISHMANGreat to be here, thank you. MS. MAUREEN CORRIGANSo good to be here. REHMLovely to see you all. Maureen, why was this book such a hit? CORRIGANIt's the trifecta. It's got an amazing complex unput-downable narrative plot. It's got characters who are just so compelling and the language is poetic. I mean, almost every page has a phrase, a description, a bit of dialogue where I stopped an reread that section again because I was so blown away by the language. REHMRead for us from that very early part of the book. CORRIGANOkay. This is as the allies in 1944 are about to begin bombing the town where our main character, one of our main characters, Marie-Laure, who's blind, a blind girl is living with her great uncle. But she's alone in the house. She's gotten a leaflet fallen from the sky, but she can't read it. "Marie-Laure stands alone in her bedroom smelling she cannot read. Sirens wail. She closes the shutters and relatches the window. Every second the airplanes draw closer. CORRIGANEvery second is a second lost. She should be rushing down stairs. She should be making for the corner of the kitchen where a little trap door opens into a cellar full of dust and mouse-chewed rugs and ancient trunks long unopened. Instead, she returns to the table at the foot of the bed and kneels beside the model of the city. Again, her fingers find the outer ramparts. In this window right here in the real city, a woman beats her rugs every Sunday. CORRIGANFrom this window here, a boy once yelled, watch where you're going. Are you blind? The window panes rattle in their housings. The anti-aircraft guns unleash another volley. The earth rotates just a big farther. Her fingers turn right. They skim doorways. Number two, four. How many times has she done this? Number four, the tall derelict birds nest of a house owned by her grand uncle Etienne where she has lived for four years, where she kneels on the sixth floor alone as a dozen American bombers war toward her." REHMSo powerful. Boris, why do you think so many people have read and loved this book? FISHMANI think it's a mystery. I think it's so hard to say why particular novels catch on in the way they do. Clearly, this has wild-fired forward in way that's difficult to explain. Of course, I agree with Maureen. The story is so propulsive and compelling. You've got these two threads working their way toward each other and he even helps us by shuttling back and forth between them to sort of make sure we see the light at the end of the tunnel for the convergence of these two narratives. FISHMANBut in many ways, the exuberance and the lushness of the language, I would say it's all the more miraculous that this book has become the hit it is because the language is so challenging. I mean, it's the kind of thing that many readers often find hard to put up with so I think they've fallen in love with the book despite the language, not only because of it. FISHMANAnd that only makes me more optimistic about the state of reading in America today, you know. REHMLeslie, describe for us the two young people who are really at the center of this book. MAITLANDWell, we have the young French girl, Marie-Laure, who is blind from congenital cataracts, discovered at the age of 6. And she lives -- her mother has died in childbirth. She lives with her father in Paris. He is a chief locksmith at the Museum of Natural History in Paris. She has a tender and particularly beautiful relationship with her father, who painstakingly creates a models in wood of their neighborhood so that she can learn to find her way about. MAITLANDAnd we watch as she becomes engulfed in this war, that catches up all these people. And I must say, I think that is one of the compelling parts of this book is to watch how war, you know, willy-nilly grabs people who may not even care necessarily about the issues are being fought in the world stage, but find themselves, you know, victimized. On the other hand, we have Werner, a young German boy, two years older than she is, an orphan. MAITLANDHis father has died in the coal mines of Essen and he, by (word?) his amazing technological prowess and scientific innate ability, rises to be given a opportunity to leave the orphanage where he has been raised and compete for a coveted spot in one of several schools run by the Nazis to breed a kind of fearless and domineering youth. And we watch him go from a tender-hearted intellectual, excited and exuberant sort of elfin boy into also being swept, beyond his imaginings, into a world of horror in which he's forced to commit himself. REHMAnd we learn, I think, for the first time, how brutal and cruel that kind of teaching really was to those young boys. MAITLANDYes, yes. If -- your choice was either to hurt others or be hurt yourself. You had to prove that you were tougher than, you know, your compatriots around you. And Werner isn't particularly big or tough. He's a sensitive boy, but of course, then the choice is do you hold onto who you are or do you conform to the situation around you in order to survive. CORRIGANYou know, I found a quote from Hitler when I was doing research for my own book about this period and it shocked me so much and came to mind again in reading this book. Hitler himself said, my program for educating youth is hard. Weakness must be hammered away. In my castles of Teutonic order, a youth will grow up before which the world will tremble. I want a brutal, domineering, fearless, cruel youth. Youth must be all that. It must bear pain. There must be nothing weak and gentle about it. CORRIGANThe free splendid beast of prey must once again flash from its eyes. That is how I will eradicate thousands of years of human domestication. That is how I will create the new order. FISHMANSee, I would differ a little bit. I would say that we have come across so many narratives and accounts of German propaganda, Nazi propaganda. The slogans, the banners, the instructions, the exhortations from both fiction and nonfiction. They're so familiar to me, at this point that when I hit those paragraphs in the novel, they felt a little over familiar and predictable. And the same goes for a lot of the German characters. FISHMANThey were pure evil in the way that so many Nazis we've encountered before have been and I really hoped to see more complex portraits. For example, Volkheimer (sp?) the hulking soldier with whom Werner spends most of the novel. You expect him to be a brute, but actually he's not. FISHMANSame thing for Frederick, the sort of gentle friend, who's more privileged than Werner, but in many ways, a far less of a go-alonger than Werner. REHMHe is trampled because he is weakness. FISHMANThose were the two most interesting -- that's exactly right. But those were two of the most interesting German characters for me, far more so than the superiors, for example, who all fit this very familiar profile of the unflinching. There's this moment when a German officer walks into a room and sees a modernist spray of paint on the walls and it unsettles him. I mean, that's sort of by the numbers. Not all Nazis were against modernism, you know. FISHMANNot everyone took it in in such a linear way. At the very least, in my literature, I'm looking for a slightly more nuanced portrait than that, even of evil people, especially of evil people. CORRIGANYou know, at first, Boris, I had your reaction, just in hearing about the novel. I thought, ugh, another novel about World War II. CORRIGANBy someone who's, you know, got to approach it through doing research. Ay, maybe I'll pass this one over. And then, I started to read it and I really loved the way Doerr almost approaches World War II as a dark fairy tale and the whole novel has, for me, that atmosphere, that feel of we're not telling a super realistic story about World War II. We're stepping back a bit and it does have this fairy tale quality of these two children lost in the storm. REHMMaureen Corrigan, she's a book critic for NPR's Fresh Air. Her latest book is titled, "So We Read On: How The Great Gatsby Came To Be And Why It Endures." Short break. We'll be right back. REHMFor this month's Readers' Review, Anthony Doerr's bestselling novel, "All the Light We Cannot See." It is one of the 10 best books of The New York Times Book Review for 2014 and was a National Book Award finalist. Don't forget, you can be part of our conversation about the book on both Twitter and Facebook by using the #drreads. We'll be using some of your comments on the air. And here's a comment on the website. Mr. Doerr made me see through this book. The author took me back to my youth and through the stages of my life and helped me experience my trials in a new light. REHMBoris, Marie-Laure is blind, which so much figures into her experiences. Why? What do you think that adds to the novel? FISHMANHer blindness. You know, Maureen, I really liked your observation that this is a kind of fairytale for adults -- or not, even. Somewhat early on I had the impression that I'm reading a novel about two young adults, perhaps written for young adults. There's a certain elemental quality to some of what happens in the novel. As I just mentioned, a lot of people are purely evil. A lot of people are purely good. Marie-Laure's father is a saint. Marie-Laure is a saint. REHMAs is her uncle, Etienne. FISHMANMadame Menec, if I'm saying her name correctly. REHMAs does his sister Jutta. FISHMANThat's right. So that's how you say her name, Jutta. FISHMANFor a while they were sounding to me like the make a of a German vehicle, it was the Jutta. Some of these characteristics, they're beautiful and mysterious. I thought not enough is made of them in the novel. And ultimately I wasn't sure why they were narratively necessary, other than to create a certain atmosphere of mystery. Let's just be contrarian and for a minute imagine if Marie-Laure was not blind. How different would the novel be? I'd love for my interlocutors to answer. REHM...who was good and who was evil. REHMShe had such an extraordinary sense about her. MAITLANDBut, you know, I think it also adds to her vulnerability. And insofar as he's trying to give us a young person who really is totally victimized and confused by what's going on in this mad world, I think her blindness does help us to feel that. It gives us another way to enter that kind of total helplessness. And I also think that it gives him a vehicle for doing what he is so good at, which is realizing the natural world through so many senses, not just visual. MAITLAND...but I think that his descriptions of sound, the petals trembling on a tulip or, you know, a snail's slipping over a rock. You hear these things with her and experience the world in a new way. So I think that that is one of the particularly beautiful parts of the book that contributes to its literacism. REHMWhile he, Werner, and his younger sister Jutta, are in the orphanage, he constructs this radio out of pieces of wire. And the first voice he hears is that of Marie-Laure's uncle. REHMI agree. And I kept waiting -- I kept waiting for the two young people to find each other. And it was hard -- it was hard when they did. I think someone here has talked about sort of love at first sight and how it doesn't quite happen that way. REHMI think it was you, Maureen. CORRIGAN...can't see. You know, I -- another thing I just want to say about the plot. I know that some critics had trouble with the fact that it jumps around in time. CORRIGANAnd there was some talk about, well, maybe that's a defect in the novel. It's unnecessarily complicated. CORRIGANYes. And eventually almost to the present. CORRIGANI largely re-read the novel in preparation for today and I now have a different feeling about it. Because, at first, I was a little confused by all that jumping around. I kind of think Doerr wants to give us a puzzle box, the same way that Marie-Laure's father give -- presents her with these intricate puzzle boxes every year on her birthday. And the challenge he gives her is, can you find the 12 little latches that will open up this amazing wooden box I've given you and reveal whatever present lies within? That's how I now feel about this novel. MAITLANDThat's a really good point. MAITLANDThat's a really, really good point. MAITLANDIn the beginning, I also felt that it was becoming needlessly confusing. And if you wanted to go back and check something, the way it jumps around it's virtually impossible to find exactly where it was. REHMI started over again. I didn't finish it, but I started over again. MAITLANDI do have a different caveat that I would like to raise and a question to put to my colleagues here, which is that, you know, he presents a really appealing picture of the French people in this little town of Saint-Malo, each in their own way trying to contribute to the war effort and resisting the Nazis. But we know that a great preponderance of the French became collaborators. And as a matter of fact, you know, one of the most shocking statistics that I ever read about this period in France is that three-quarters of the 77,000 Jews who were deported from France in World War II were arrested, not by the Germans, but by the French police. MAITLANDAnd so coming to this story with that background, you know, I didn't find a single instance in the book of a French informer or collaborator who was drawn as sharply as that of Claude Levitte. MAITLANDBut, Levitte is a Jewish name. MAITLANDAnd so -- and he presents Levitte in a very stereotyped way as a Jew. He is described as -- with all the typical, derogatory descriptions of the time. He is oily. He is avaricious. He participates in the black market. He hides his billfold in his buttocks if he even hears that there is a theft in town. MAITLANDHe's not to be trusted. And yet he has -- this is the single greatest informer whom we despise in the book, he's the one who turns in Marie-Laure's father, is a Jew. So go figure that. I felt that I -- a little part of me would have liked to see him touch a bit more on French collaboration than he did. REHMYou had a spot you wanted to read for us, Boris. FISHMANWell, if I could just respond to Leslie first. MAITLANDHe's not your typical Holocaust Jew. MAITLANDLevitte is not our typical Holocaust Jew. FISHMANFair enough. That is very true. And actually I didn't pick up that that was a Jewish name. And you are absolutely right. FISHMANLet that say everything it needs to. FISHMANSo page 223, we're almost halfway into the novel and the boys go back to Berlin to visit with Frederick's family for January recess. FISHMANOn the way home, Frederick and his mother walk ahead. She loops her slender arm through his and talks to him in a low voice. Freddy this, Freddy that. The street is empty, the windows dead, the electric signs switched off. Innumerable shops, millions sleeping in beds around them, and yet, where are they all? As they reach Frederick's block, a woman in a dress, leaning against a building, bends over and vomits on the sidewalk. FISHMANWhy I love that paragraph. We don't know who the woman is, but she's obviously in some kind of discomfort or pain. I love the air of unease and ominousness that sort of hangs over this walk. And everything that we need to be made to feel, were made to feel without any of it being explained and chewed up for us, which I think is a bit of a problem in other parts of the novel. There's all kinds of darkness awaiting these characters -- not only Frederick, his mother is a dark character herself in a different way. And once all that happens, later in the novel, it was prefigured for me by the air of unease -- unexplained unease that was sort of created for me during this January recess. FISHMANI loved it. I love -- this is when the novel began to come together for me, when certain characters and experiences twisted up and thickened and got less elemental, as I mentioned before. REHMBoris Fishman, he's a novelist, author of "A Replacement Life." His journalism, essays and criticisms have appeared in The New Yorker, The New York Times Magazine and Book Review and others. And you're listening to "The Diane Rehm Show." His mother really bothered me. She talked immediately about how they were going to get the larger apartment of the old grandmother that they were hoping to get out. I mean, she just seemed so cleanly avaricious. She had not an ounce of humanity in her. Did you react the same way to her? CORRIGAN...and so fragile, save from the times, save from his mother. You know, you're grateful that he has a friend like Werner in his life. It -- but that's what fairytales do. They have to take us into the dark places, too. MAITLANDYou know, as he says, our lives are not our own. And he's forced to go to that school to suit the political purposes of his parents. REHMAll right. Let's open the phones and hear what our listeners have to say. First, to Maryanne in Chevy Chase, Md. You're on the air. MARYANNEHello, Diane. Thank you so much. MARYANNEI enjoyed this book tremendously and I completely agree with Maureen, it really does have a fairytale sense to it. What I thought was interesting -- I loved Freddy and Freddy really troubled me because he had so many good qualities and he wouldn't compromise. And it seemed as if he kept getting beaten down and beaten down. MARYANNEBut we have to keep remembering that Marie-Laure with her blindness, and Freddy with his issues as well, at the end of the book they're both standing. And for so many other reasons Hitler was able to kill so many people but he wasn't able to kill these two. And that really was -- even though I was so troubled by everything that happened to Freddy, there was something strong about his being able to stand at the end or at least survive. REHM...of his experience in that camp, in that boy's camp. REHMMarie-Laure is standing -- standing strong and reunited with her great uncle. But her father is gone. We never know where. FISHMANAnd by the way, speaking to something we discussed earlier, the father would never have gone to prison -- answering my own question -- if it wasn't for Marie-Laure's blindness. Because, of course, he was ratted out by Levitte for walking around and taking measurements of the building. REHMIn order to construct that replica for her. REHMAll right. We have to take a short break. I do want to remind you that Leslie Maitland is former reporter for The New York Times and author of "Crossing the Borders of Time." Stay with us. MAGGIEI wondered, what was the key to her house that she gave him? MAITLANDNo, it was the gate to this little grotto underneath the ramparts of the city where she would go and hide and experience the ocean since the landmines, having been laid all over the beach, they could not explore the beach. REHMAll right. Thanks for calling. To Vivian on Long Island, New York. You're on the air. VIVIANThank you, Diane. It's so exciting to be part of this conversation. I absolutely love this book. VIVIANAnd as a teacher, when I read the book, I felt that it should be introduced in classrooms to youngsters. I do see the fairy tale qualities of it, but I also see the opportunity that it would give to teach history from a different point of view. Not every one rule was in the Hitler's Youth. Not everyone was a monster. We see Werner was part of Hitler's Youth, and he was part of what an instrument that caused the death of many people through his genius. But he was pulled into it and forced into that position. VIVIANGreat way to look at history, to understand that it's not all black and white. It's also a great way to go into STEM with students. This would be just a great interdisciplinary book to do with students. I recommended it to a friend of mine who teaches trigonometry and I gave -- and I showed her the chapter where he does the triangulation and I said, you know, if your kids ever ask you why is this important and how can it be used, it's so clear. The engineering in this book where he constructs a radio out of the wires and the art in it with the little architectural cut outs, you know? VIVIANWe're in a Lego Land period and (unintelligible) building and what an exciting thing to see how he scaled everything for his daughter so that she could navigate through the towns. FISHMANI couldn't agree more. I think this book presents a magnificent opportunity, because it's got this extremely propulsive story. And by the way, my personal view is that no matter what medium books move onto, stories will always endure. They've endured for thousands of years and they will endure for thousands of years more. You forget time when a story starts, when a good story starts. However, stories have sometimes gotten a bad name, because there's often attached to the kinds of plots that mean little more than empty calories. FISHMANYou know, thrillers and the like. But here, a story is attached to something of great historical substance. It's the candy that makes these really important vegetables go down. And so, I do think that a student will respond to this in a way that he might not to a dry historical academic text. And that is a huge opportunity not to be missed. REHMAll right, to Boca Raton, Florida. Actually, it's Boca Grande, Florida. Sandy, you're on the air. SANDYWell hi. Thank you for taking my call. SANDYAnd I liked the book on many levels, very much. As a good story, geologically, socially, politically, in many ways. 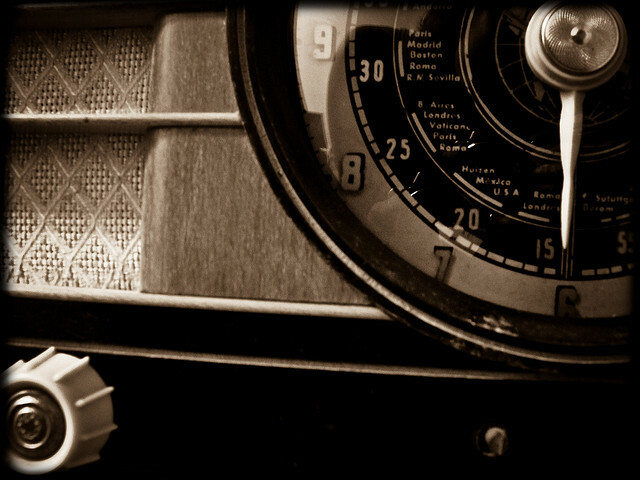 But I was fascinated with the radio making. Because as a 75-year-old woman, I remember when some of the boys, mostly, when I was in elementary school, learned how to make radio sets. Some of them would attach copper wires, I think, to the radiators, those coil type radiators that they had at home. And somehow sound would emerge. And that today, I don't think the kids know anything about that. So, I went online and I absolutely fascinated by trying to make a radio. SANDYI found out what components are needed. Then I realized that maybe I could buy a pre-made radio, a kit, which I did, and I actually bought four kits for my grandson. And I play to give that to them very soon, because they're all visiting me here in Florida. And so that they can see how easy it is to start with building a radio. FISHMANI think there's a memoir in this. REHMI think so too. What a grand idea and gift for grandchildren. Learn how to make a radio. CORRIGANWell, part of the draw of this book, certainly, is all the, all the knowledge that you get about other things as you're reading it, like Geology and radio making. I think, ultimately, it's a celebration of the imagination, though. I mean, even the way Doerr explains, describes the power of the radio and there's this -- a couple of sentences that I love. He says that the hum of the radio when it's turned on is no louder than the breeze. The undertone of the fires. It's magic. CORRIGANAnd speaks to the title, as well, "All the Light We Cannot See." REHMLet's go to Ocean View, Delaware. Hello, Mary. MARYGood morning. Thank you for taking my call. MARYIt's been fascinating to listen to the discussion of this fantastic book. When I read it, two things stood out. First of all, to see the war and the destruction through the lenses of these two children coming from different perspectives fascinated me. And also, I always had this vision of the German army as being so highly organized and militaristic, and the vision of these men wandering or driving through the farms of France to try to pick up signals with these, this rustic material was like, what is this going on here? How could they be so powerful if they were doing it that way? And that's what I just wanted to say. Thank you for the show. MAITLANDWell, I was gonna go back to a point that Maureen made, which is I think that the book becomes a celebration of the order and symmetry of the natural world. And what's so fascinating is that at one point, you know, in the school, one of the -- the Commandant talks about that the Nazis will impose chaos, will impose order on the chaos of nature. Even through their racial selection processes, Eugenics. And by contrast, so beautifully what Doerr does is just depict the natural world in so many ways, be it the creation of the radio or the stars or the underwater marvels that she becomes so entranced with. It's the whole world of nature becomes almost a character in the book, really. FISHMANI was just gonna say that in general, the massive amount of research that's clearly been done for this novel is integrated so well and so patiently and so subtly. I mean, when you're doing this much research, you almost have to do it all, and then try to forget it as best you can before you start writing the novel. Otherwise, it just peeks through everywhere because you're so eager to share what you've come up with. And he is just so patient and measured. It's integrated beautifully, for the most part, in the course of the novel. REHMDid you feel that Werner's movement into the Nazi world was credible? FISHMANYou know, perhaps it was credible. Was it exciting? I'm not sure. I was far more intrigued by Frederick's trajectory than I was by Werner's. You know, going back to Dickens, I would have expected this boy to find a greater amount of comfort from the sense of importance he starts to feel in this structure from, sort of, I wanted him to be getting more out of it. He just seemed to sort of flow along, to go along with the flow of what was expected for him. And to have relatively -- his feelings about it were relatively uncomplicated, psychologically speaking. FISHMANAnd that made me less interested in him, even as I technically believed what he was going through. MAITLANDYou know, Diane, my mother was the exact same age as Werner, and I remember her telling me that when all -- and she was virtually the only Jew in her class in Freiberg, Germany. She told me that when all of the other girls joined the Deutscher Maedels, the -- which was the girls equivalent of the Hitler Youth, all the girls got these uniforms, and they were navy blue skirts with pleats and leather bandoleers with big leather belts and white blouses with tassels on their knee socks. MAITLANDAnd my mother felt so out of place not being able to join them that she had her mother take her to the dress maker to make her the skirt. And she got the white blouse and she got the knee socks, but she always felt, you know, very bereft that she didn't have the bandoleer that the other girls all had. But, you know, I think we all know that for teenagers to fit in is so very important. MAITLANDAnd when her friends went to greet (unintelligible) once when he came to visit the town, and they assembled under his hotel window, she was there, too. FISHMANBut does that make them compelling lynchpins for a novel? That's the question I have. REHMAnd you're listening to The Diane Rehm Show. How do you answer that? MAITLANDI answer it with the novel's own answer, I think. Doerr keeps bringing up Jules Verne. Marie-Laure is a great fan of Jules Verne. We learn that she keeps getting Verne's novels for her birthday. They're printed in Braille. And I almost take that as Anthony Doerr saying, this is the contract I want to extend to you as readers. This is going to be a novel that will invoke science and history, but I'm going to take you into realms that are beyond the real. And so, if my characters are a little one dimensional, if I'm playing a little fast and loose with history, hang on because I'm taking you on a journey into fantasy, as well. REHMAll right. And on that point, let's go to Robert in Winston Salem, North Carolina. You're on the air. ROBERTYes, thank you. You know, I don't have quite the same idea of it being so much a fairy tale. It rings very true to me. I knew some people who had lived in France during the war. Was over there, and a couple things I noted was that it became quite common for people to retreat into their imagination. And then to create things, like outsider art and to do things in which they were trying to deal with a world in which there was that kind evil. And also, I spoke with a man who was, at the time, quite old. REHMHere's a couple of emails and a tweet. Tweet from Abbey, who says, Marie Laurie's world surprisingly is not one of darkness. It was one of magnificent color, sound and exquisite tactile discovery. Another from Sharon. Both main characters are blind. Marie Laurie actually sees the real world better, in her blindness, than Werner does with his eyes. Blindness is an impediment for both, perhaps Werner's blindness was a survival response. In the end, I believe he opens his eyes and runs to his death. Very interesting. And let me remind you, once again, next month's Readers' Review. REHMIn honor of National Poetry Month, a memoir written in verse. Jaclyn Woodson's "Brown Girl Dreaming." And our book this month, "The Light We Cannot See." Thank you all so much. Maureen Corrigan, Boris Fishman, Leslie Maitland. It was wonderful.